Louie Colantonio has scouted the site of his latest restaurant “production” for years, and now it’s ready to roll. 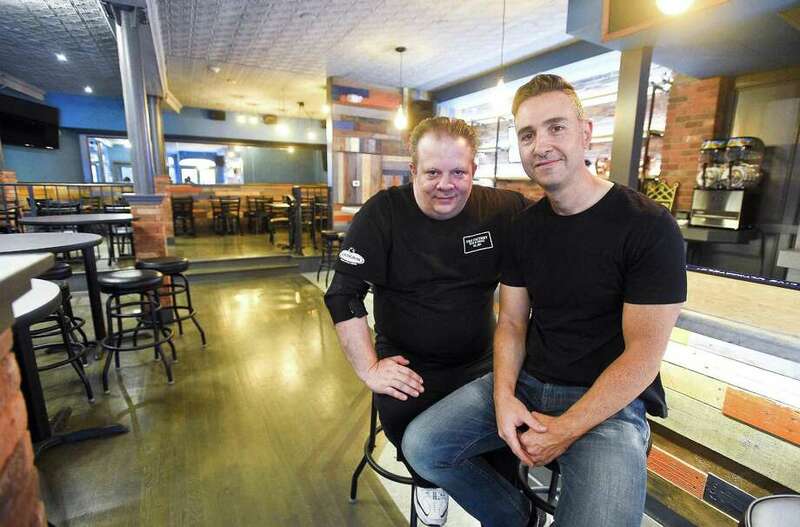 The Factory Bar & Grill made its soft opening Tuesday at 261 Main St. in Stamford, filling a downtown space that had stood empty for more than a year. With an extensive menu and prominent location, Colantonio said he was confident the new establishment would make a long run on one of the city’s main restaurant rows. Colantonio was familiar with the area, having previously worked 14 years as a bartender at several hotels in the city. He also owns Patron Mexican Grill in midtown Manhattan, an establishment he has run for about eight years. Factory’s name alludes to Stamford’s industrial history and the expected productivity of the approximately 3,500-square-foot establishment. Factory’s menu features burgers, sandwiches, pizzas, small plates and salads. An extensive drink list includes beers, wines and cocktails. A $25 “Smokestack” is the signature cocktail, consisting of a 25-ounce souvenir glass of New Amsterdam vodka, white cranberry juice, Patron Citronge Lime liqueur and lemon-lime soda. In keeping with the name, Colantonio and his partners kept much of the throwback interior, including exposed brick walls, that had been inherited from predecessor restaurant McFadden’s, which closed in early 2017. In the lead-up to the opening, Factory has made a concerted push on social media to build up its customer base. About 5,500 follow its Instagram account, @thefactorybarandgril. Factory’s opening positions it to take advantage of the summer Alive@Five concert series in the adjacent Columbus Park. Gavin DeGraw is the season opener, with a June 28 show. In addition to about 100 seats inside, the restaurant is planning outdoor seating for about 35. Neighboring restaurateurs said they were keen to see Factory succeed. The restaurant scene around Columbus Park has seen in the first five months of this year a number of closings including Layla’s Falafel at 245 Main St., Aria Restaurant at 1033 Washington Blvd., and Aguapanelas at 84 W. Park Place.